When deciding on an MBA in Central and Eastern Europe, one should look for a business school that offers a first-class program and international faculty, with international classes of best participants from various CEE countries and other parts of the world, in order to get leadership knowledge and skills and build strong business networks. While in some business schools the international component is rather weak, others are becoming more and more international through the curriculum, faculty body, as well as through the international mix of students and numerous exchange programs. For example, the IEDC Faculty is 95 percent foreign, while the percentage of international participants in the MBA program is above 80 percent. “Management education have played an extremely important part in the process of regional reform; the implementation of many reforms is directly due to the active role business schools have played, and because of the people educated in those institutions,” says Purg. Indeed, over recent years Central and Eastern European business schools have played a very important historical role, in much the same way that the American schools did at the beginning of the twentieth century, or the first western European schools did after the Second World War. Now there are five or six schools in different Central and Eastern European countries already well developed enough to compete with the leading schools in Europe and beyond. 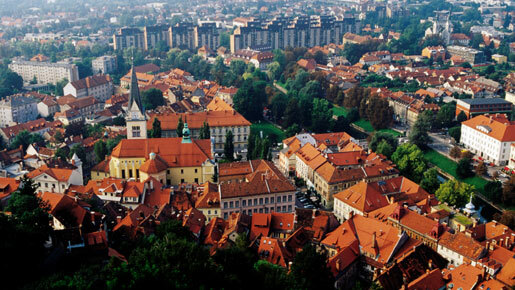 IEDC – Bled School of Management has seen more than 50,000 executives from 66 countries pass through its doors, over 80 percent from countries other than Slovenia. They came to study one of IEDC’s impressive range of programmes. The school offers three varieties of MBA. The one-year Executive MBA programme is studied in two extended five week modules and two shorter modules, altogether 17 weeks over the year. Potential participants unable to commit to such an intensive schedule can opt for a two-year Executive MBA instead which consists of seventeen residential weeks at IEDC taken in seven modules of between two and three weeks over two years. Finally, the school offers an innovative three-year Presidents’ MBA programme, specially designed for senior executives: presidents, vice-presidents, chief executives, and members from managing and supervisory boards. IEDC also organises open seminars and forums that address the needs of functional and general managers and leaders, and customised programs adjusted to the specific management development needs of individual companies and other organisations. Like all good management schools, IEDC has forged strong links with business, both local organisations private and public, as well as multinational organisations. For example, the school recently established the Coca-Cola Chair in Marketing. “This investment by the Coca-Cola Co. will contribute significantly to our school’s vision to be the leading business school in the new Europe; to be an agent of change, a centre for leadership development and the meeting place for managers and leaders,” says Prof. Purg. IEDC-Bled School of Management is one of the world pioneers in holistic approach to management and leadership development; besides ethics, sustainable development and arts, it has been already for some years systematically integrating philosophy, science and learning gleaned from other professions in its educational process. In October 2009, IEDC was named as one of the most innovative schools in the world according to the Beyond Grey Pinstripes, a biennial survey and alternative ranking of business schools, prepared by The Aspen Institute Center for Business Education. An important part of the IEDC mission is to prepare managers and leaders for their future tasks by letting them become more reflective and more sensitive to the changes in the world around them. Therefore the school has created a series of events with artists where the participants are, besides learning accounting, finance, marketing, strategy and further administrative skills, also going through the process of learning from the art. “We are namely more and more convinced that the business school is not only a business meeting point and a place to come to learn but also a place to come to reflect,” concludes Prof. Purg.